One again this is not a kit review of the original NASA Pegasus (Estes Kit #1376) [1982-1986] but another of my many Baby Bertha kit bashes (#12 for those following my Goonyness). All fin patterns and decals came from http://plans.rocketshoppe.com/estes/est1376/est1376.htm. 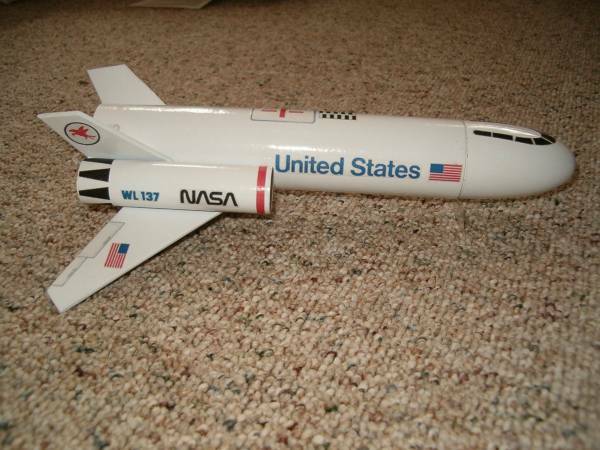 The major difference again being that mine is a Goony version of the NASA Pegasus. As stated this is a kit bash so the main components came from a Baby Bertha Kit. 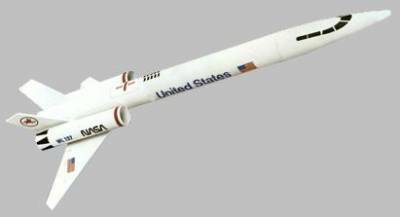 As a result this is yet another BT-60 based rocket instead of a BT-55 tube as the original was. Construction was per instructions and presented no problems with the only Con: having been to redraw and cut out the new fins from one of the sheets of balsa from the Baby Bertha kit. This was done after balsa was gone over first with HobbyLite to fill all laser cuts and then sprayed with 3M Adhesive glue and covered with a sheet of printer paper. Finishing was standard two coats of Rust-Oleum 2x White Primmer with light sanding between coats followed by two coats of Krylon Gloss White. Decals were then printed out and first clear coated on printed side. Then when dried white primed on back side. After dried decals were cut out and attached with a glue stick. After making sure all were attached firmly rocket got two coats of Krylon Clear Gloss to seal them on. The only Con: was having to spray paint the inside of the two yellow spacer tubes with out the paint running. Maiden flight was on 06-20-10 at a S.M.A.S.H. club launch and was another perfect flight for yet another of my Gonnies. Rocket was fast off the pad going straight up. This was one of the easiest kit bashes that I've done so far. 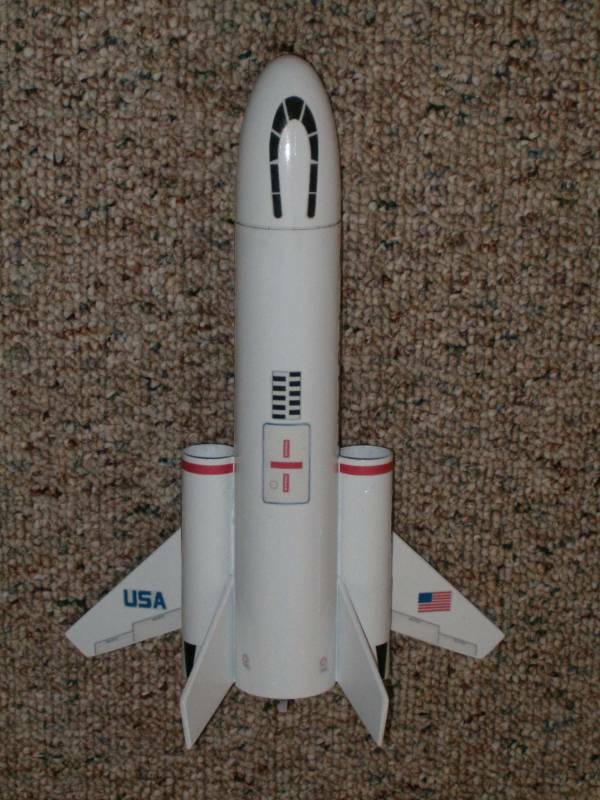 Yet another great addition to my growing Goony fleet and another rocket that I need to clone so that I have both as I love its design.